Beretta leather holster E01648 05 - Demi 3, right hand - M9A1. 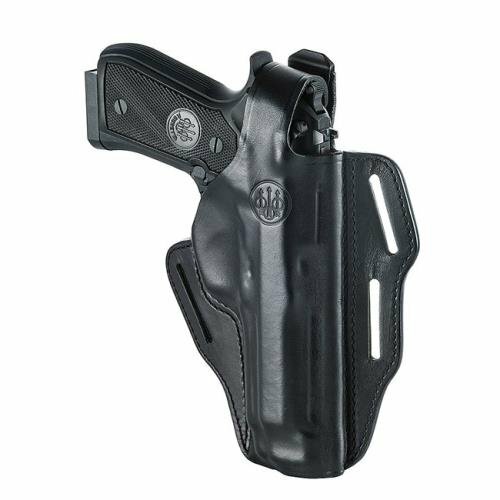 Concealed carry holster in premium leather, compact and with a flat rear profile that has a snug fit against the body for excellent wear ability and excellent concealment of the weapon. Fits M9A1, right hand.